When I moved to the Chicago area a few years ago, I scoped out the comic shop scene to see what kind of shops were around, and which ones might be worth visiting more, or less, frequently. I had largely dropped my weekly comics habit a few years prior to that, in favor of trade collections and webcomics, but I was still interested in getting "established" at a local shop. That way, I figured, I'd always have a means to order whatever new and potentially obscure books might come out. Chicago, as you may know, has plenty of comic shops to choose from. I caught a "Top 10 Chicago Comic Shops" list a little while back and was thrilled that I live in an area that can have that kind of list, and it not just be a list of all the area shops! So I checked out each shop and found that, not surprisingly, they each had a slightly different focus and often a very different demeanor from one another. Also not surprisingly, I found that some shops suited my tastes better than others. And those shops, I felt, were quite good. But here I am, some years later, without a comic shop that I frequent. I think I visit the ones I've liked the most maybe once or twice a year? And then, it's more often than not for a specific event, like an author talk or a signing or something. I'm sitting here, a week out from Free Comic Book Day, and I don't even have a preference on which shop I should stop by. As I said, I had largely gotten away from the weekly comics habit, so it makes sense that I would no longer need to make weekly visits, but I still buy a decent number of trades. And while some of those do get ordered through Amazon, many do not. When I started looking at my buying habits, I noticed that many of the books I get anymore are purchased directly from the creators themselves. At conventions or via Kickstarter projects or just through their personal online shop. And I bring all this up because of what it might mean to the industry in general. A lot of people continue to look at the sales numbers from Diamond, and assume that's representative of the entire industry. And a number of folks will pipe up at such claims and say, "Hey, you're forgetting about the bookstore market!" Brian Hibbs has done an excellent job for a single person piercing some light onto that aspect of comics sales. But what we don't have numbers for are everything outside those two systems. Convention sales, crowd-funded projects, etc. Now, granted, we're generally not talking about sales numbers on par with Scholastic, but consider these things... Girl Genius sales are enough to sustain Phil and Kaja Foglio, plus allow them to hire a colorist. 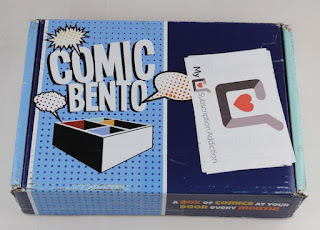 Least I Could Do and Looking for Group were strong enough to allow creator Ryan Sohmer to also launch his own comic shop, Comic Bento, and a small ad agency. Jeph Jacques is earning over $90,000 a year through his Patreon campaign alone! And, while individually, that's all comfortably impressive for individuals just doing webcomics, think about how many people are making their own comics. Print or online. And while they're certainly not all as financially successful as the three I just mentioned, the number of creators making a couple hundred bucks a month adds up. Think about this... If only 10,000 people show up to a convention and spend $10 each, that's $100,000. That's gross, not net, of course, but it's still a decent chunk of change for, say, a weekend. And 10,000 is relatively small show. TCAF is a small, independent show, and they pull in over 20,000. So what I'm saying is that even if you take a look at the Dianond sales figures (which are dreadfully inaccurate in the first place) and the Bookscan numbers (which are a bit fuzzy as well) you're still missing a sizeable chunk of what the total comics market actually looks like. There's a whole missing third of sales that are essentially going unreported. Something to consider, especially when you're talking about the health of the overall market.